Very nice snowmobile that belongs to my wife. 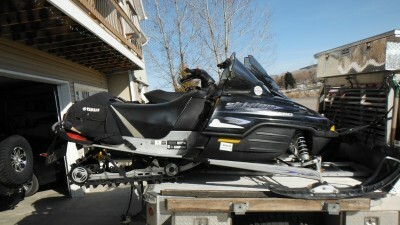 This snowmobile has been well maintained and has a 1 1/2" paddle aftermarket track. Saddle bags included.